From cars, to beer, to jeans, America has countless icons that represent it. But just like the population itself, not everything thought of as American actually comes from the Land of the Free. Every classic “American” item on this list was developed by immigrants—or even total foreigners. Whether certain politicians like it or not, America is a land where everything, even our national icons, started out as foreign. Here are just a few. Few national songs are more inspiring than “God Bless America”. The patriotic anthem has been sung at many a school pageant and sporting event, and it was emotionally sung by U.S. Congress members on the evening of September 11th. But the song was actually written by an immigrant—Irving Berlin, a Jewish composer from Belarus. Berlin originally set the song aside soon after he wrote it, but in 1938, with the rise of Adolf Hitler, he felt that it was time to revive it as a “peace song”. He introduced it on an Armistice Day broadcast in 1938, and it immediately rose to great popularity. It’s been one of America’s most beloved patriotic songs ever since, even serving as Franklin Delano Roosevelt’s election campaign song. Apple pies were brought to the American colonies by British, Dutch, and Swedish immigrants. Since North America had no native apples except crabapples, the truly American apple pie had to wait for fruit-bearing apple trees to be imported and planted. By the 19th and 20th centuries, apple pie had developed into a symbol of American prosperity and national pride. It remains a favorite feature of every American grandma’s table to this day. The first car was Henry Ford’s Model T, right? Well…no. Ford was actually several years too late to claim the title of “inventor”. He was beaten by European innovators Carl Benz, Gottlieb Daimler, Nicolaus Otto, and Emile Levassor. While it’s very difficult to give any one individual sole credit for inventing the automobile, it was Benz who patented what is now considered the first “true” automobile—the one that most resembles cars we use today—in 1886. The first Mercedes was created in 1901, and in the same year Ranson E. Olds beat Ford in marketing the first commercial cars to Americans (hence the term “Oldsmobile”.) Ford was responsible for converting cars from an expensive curiosity into an item everyday Americans could afford—but he didn’t invent them. If you’ve been through the American school system, you probably associate peanut butter with George Washington Carver. The famed botanist and inventor was responsible for experimenting with new uses for alternative crops such as peanuts, sweet potatoes, and soybeans. However, peanut butter was not among his many inventions. The tasty treat—or a version of it—actually originated among the Aztecs and Incas, who ground up peanuts into a thick paste. The manufacturing machinery used to make more modern peanut butter was invented by Marcellus Edson, a Canadian, in 1884. There’s nothing more American than denim blue jeans—and it’s true, the first pair of jeans as we know them were created in the United States. The man who made them, however, Loeb “Levi” Strauss, was an immigrant who traveled to the U.S. from Bavaria in 1847. Strauss traveled to the West Coast and partnered with tailor Jacob Davis to create a sturdier pair of pants for Gold Rush miners. 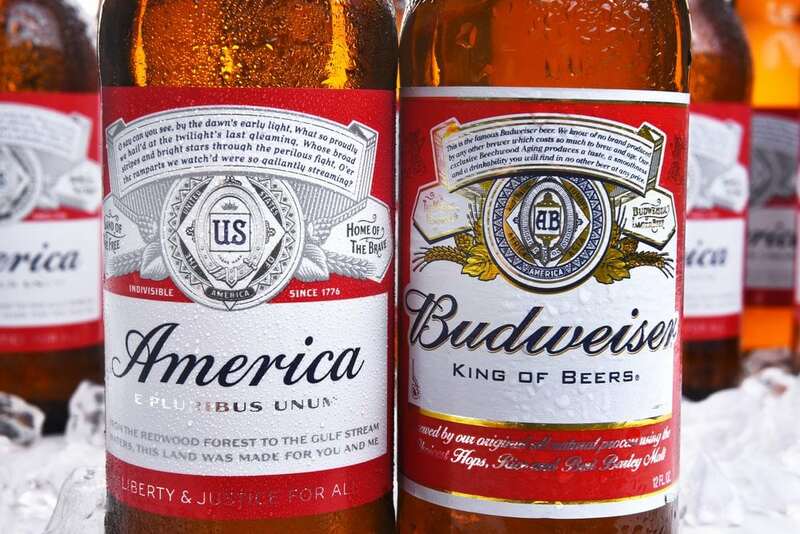 But Budweiser, like almost everything else on this list, was created by immigrants—German immigrants Eberhard Anheuser and Adolphus Bush. They brewed the first batch of Bud with a German style of brewing that produced a “lagern”, or lager. The company became even more international in 2008, when Brazilian-Belgian brewing company InBev bought it for $52 billion. In the past 8 years, the company has taken steps to make the brand even more international—though it’s safe to say that it certainly doesn’t want Americans to think so. Maybe you aren’t going to invent blue jeans, or create a multi-billion dollar beer company—but if you’re an immigrant, there are undoubtedly contributions you can make to this country, too. If you’re ready to follow in the footsteps of Irving Berlin, Levi Strauss, Anhauser and Bush, and countless others who have made America what it is today, contact a North Carolina immigration attorney to find out how you can become a U.S. Citizen.